President Trump will address the issue of late term and post-term abortion during tonight's State of the Union Address, according to White House officials familiar with his remarks. The debate over late term abortion has been raging over the past few weeks after New York legislators passed a law allowing abortion until the day before a woman's due date. In Virginia, a bill was introduced that would allow a woman to order an abortion while she was in labor. The state's Democratic Governor Ralph Northam defended the legislation and said infants would be "kept comfortable" after birth while doctors and parents decide whether to provide care. Yesterday Democrats in the Senate killed legislation introduced by Republican Senator Ben Sasse to outlaw infanticide against babies who survive abortions. "The Born-Alive Abortion Survivors Protection Act prohibits exactly the kind of infanticide that Governor Northam was endorsing. That’s it. That’s what the legislation is about," Sasse said about the legislation. "It’s based on the simple idea that every baby deserves a fighting chance. Its a simple idea that every human being is an image bearer, even the weakest and the most marginalized among us are no less human, and every one of us has a moral obligation to defend the defenseless." 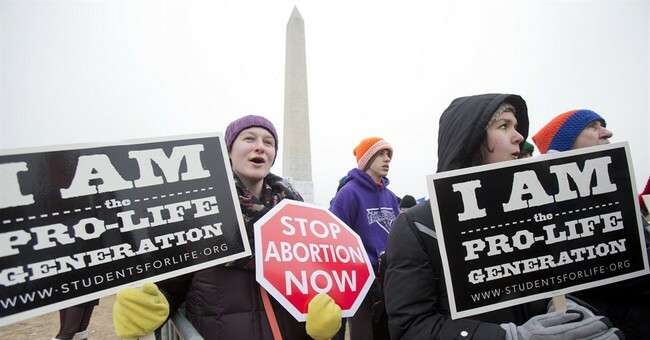 Pro-abortion groups like NARAL and Planned Parenthood (which receives $500 million in taxpayer funding each year) are outraged President Trump plans to bring up the issue. The truth is, groups like NARAL don't want Americans to hear about the horrors of late term abortion and what it really means for women and their children in the womb. Tonight's State of the Union Address is a powerful and important place to address the issue.